If you are looking for a blue razz slushi juice with a minty twist then this is for you. 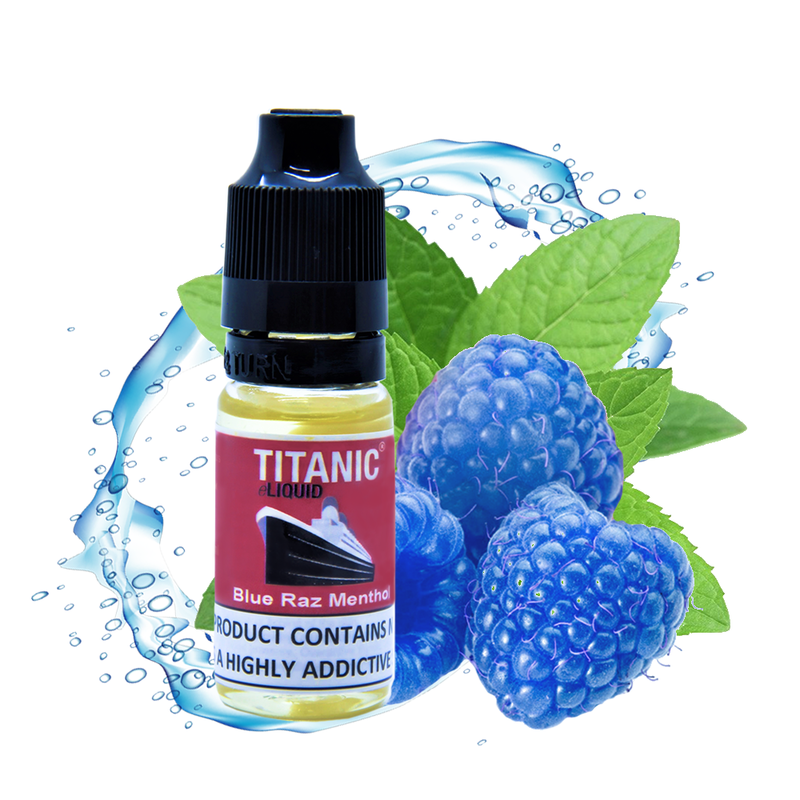 A delicious mix of fruity blue raspberry and cool chill menthol. 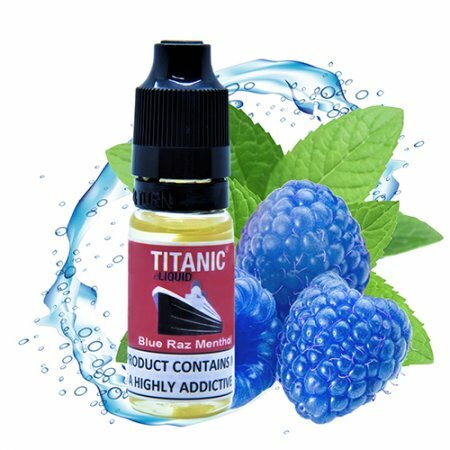 Blue Raz Menthol from Titanic is available in 12mg (1.2%) and 18mg (1.8%) nicotine strengths. 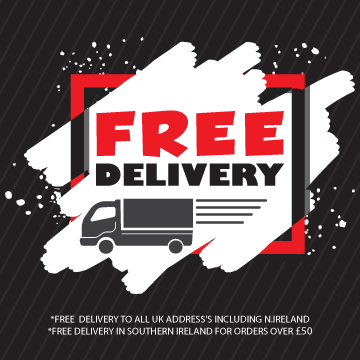 All our eLiquids are made in the EU with high quality ingredients. Flavourings are of food grade quality and we only use pharmaceutical grade PG/VG and nicotine. Rasperry Menthol vape e-juice - is suitable for all types of vaping hardware and vaping behaviours.